When it comes about hair removal, there are many different methods available, either at your own home or at a waxing center or at a hair salon - where in addition, you can have other beauty therapies like pedicure, manicure and makeup. Every method has its advantages and disadvantages so what is particularly important is that you know which is the best hair removal for you. And you will only find out by trying them and asking professionals. However, there is a method that stands out of the rest due to its multiple benefits. It is the well know waxing. Apart from full legs waxing, the best waxing centers in London can offer eyebrow waxing, bikini line waxing, facial waxing, Hollywood waxing and others. 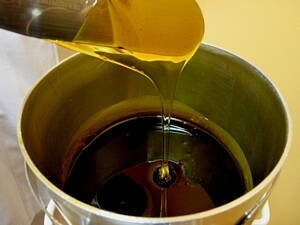 Moreover, they always try to be up to date incorporating the latest trends like sugaring hair removal. You know how difficult it can be the ingrown hair removal, so it is much better to get your waxing done by professionals than doing it yourself after buying some hair wax at the supermarket. A professional will apply skin treatments after the season to avoid those ingrown hairs. Among the multiple benefits of waxing, it is worth mentioning that it leads to a smoother skin since it eliminates dead skin cells too. Also, it can last up to eight weeks. How can I boo k the best waxing near me in London? At Infoisinfo we always work hard to be able to provide you with the most useful information possible so that you can easily find the best products and services for you or your company in London. We know how much you care about your skin and how much you like to look smooth and hair free. For this reason, we want to help you to find the best hair removal treatment. Therefore, we have prepared a list of the best waxing centers in London for you to choose from. Get in touch thanks to the contact details provided such as phone numbers, websites, address and opening times. In addition, you can have a look a comments and valuations from other clients to get a better idea about the waxing treatment.